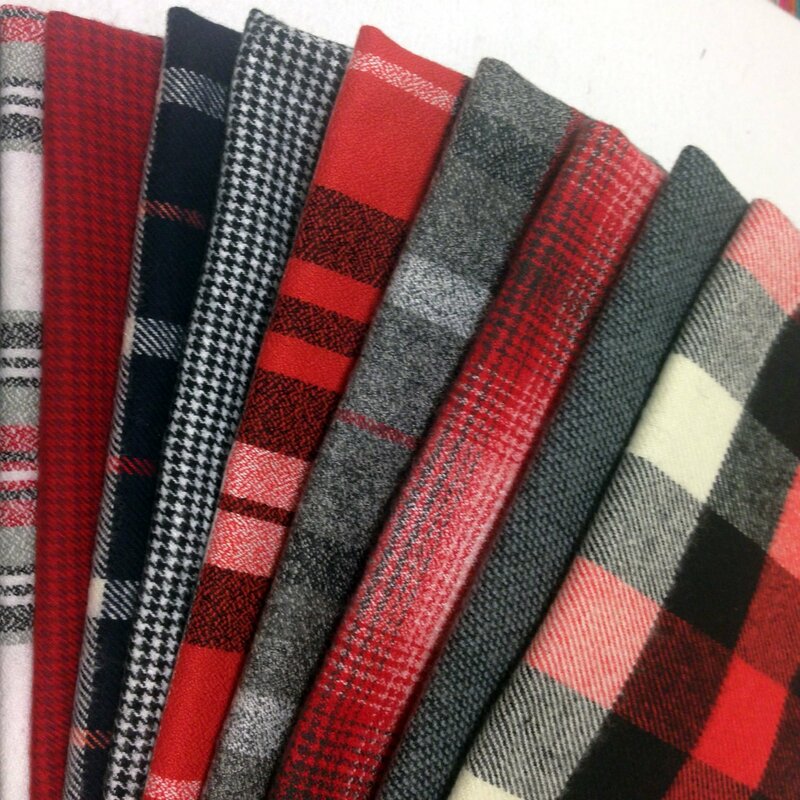 Premium fabric selections. 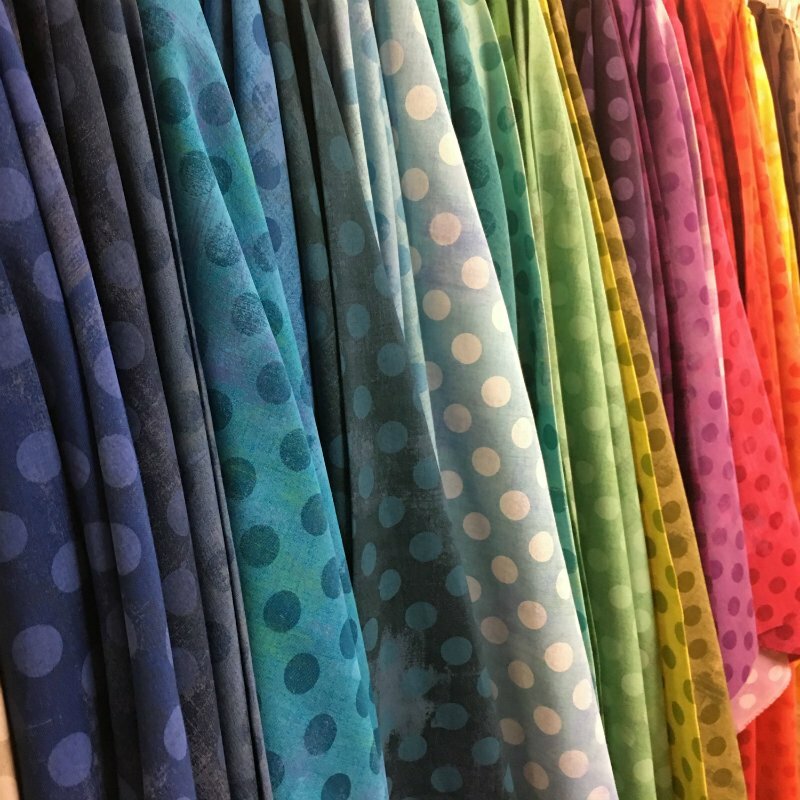 Full fabric lines in stock. Friendly quilting staff. Bright beautiful shop. 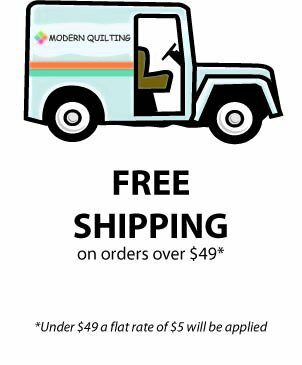 Your quilting source for all things modern! An old-fashioned quilting bee with a modern flair. You'll learn basic skills to help you become a machine quilting maven in just 6 weeks. Be sure to stop at the shop and get your SUPPLY LIST. Additional $10 at first class to instructor for curriculum book. You asked for it! 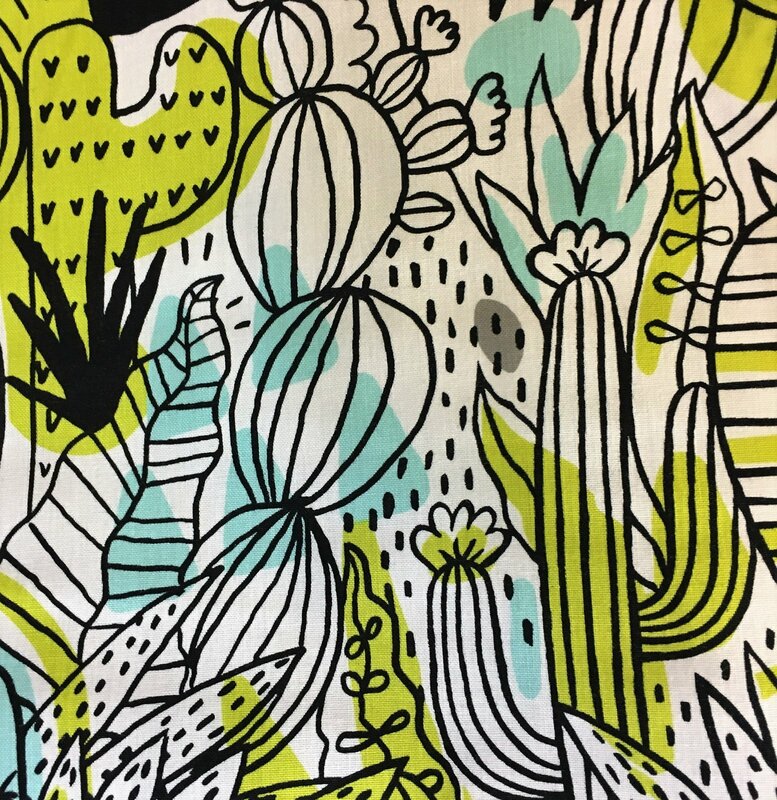 Here is a day to start your Cactus Sampler by Laura Heine....Collage Fun! The fun way to put this together first with Collage and then putting it all together ....with you as the artist! Join Gail with your imagination. We will have some fun! This is the quilt that will have you using all those saved Kaffe fabrics. 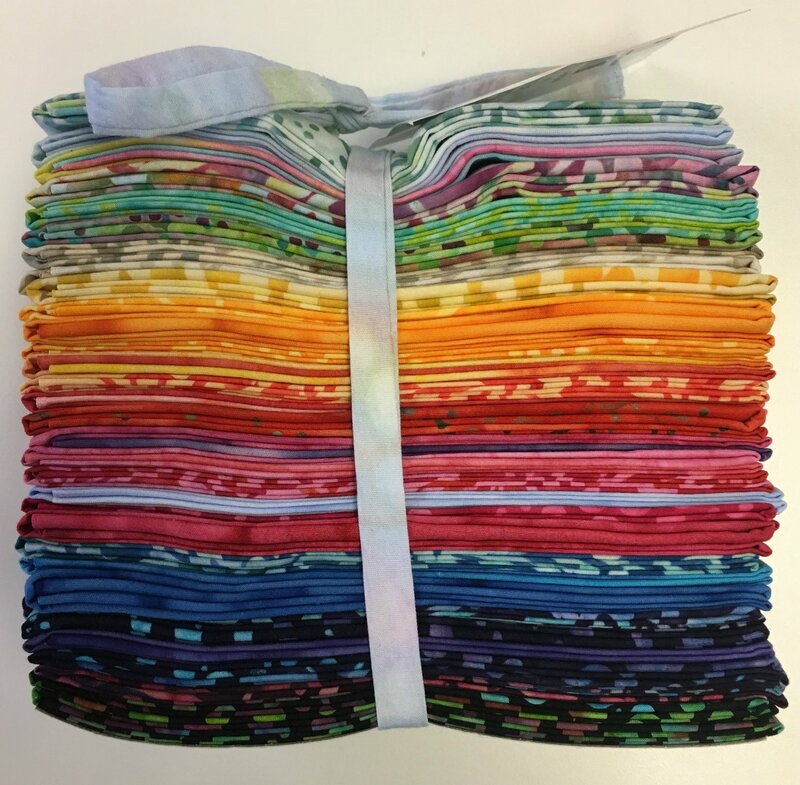 The quilt uses jelly rolls or cut goods, a wonderful unveiling of colors and you will notice how quickly your lap size quilt comes together. It looks complicated but it is not...The pattern has a light center and the gradation creates a wonderful, one-of-a kind beautiful quilt. Join us to create with COLOR and learn the lights, medium and dark values to create an amazing 56 x 75 inch quilt. Ohhh, what fun! Come join us to learn this technique....and totally enjoy the day. A collage class using Laura Heine patterns! Many of us having been having so much fun and sharing our laughter as we create! 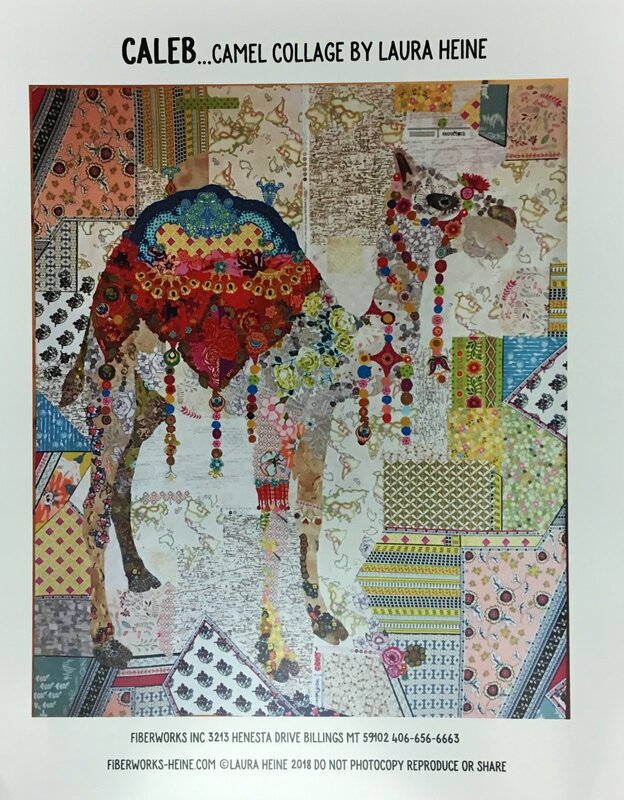 Choose one of Laura's patterns of your liking to create your "One-of-a- Kind" collage with the arrange of colors and fabrics you love. 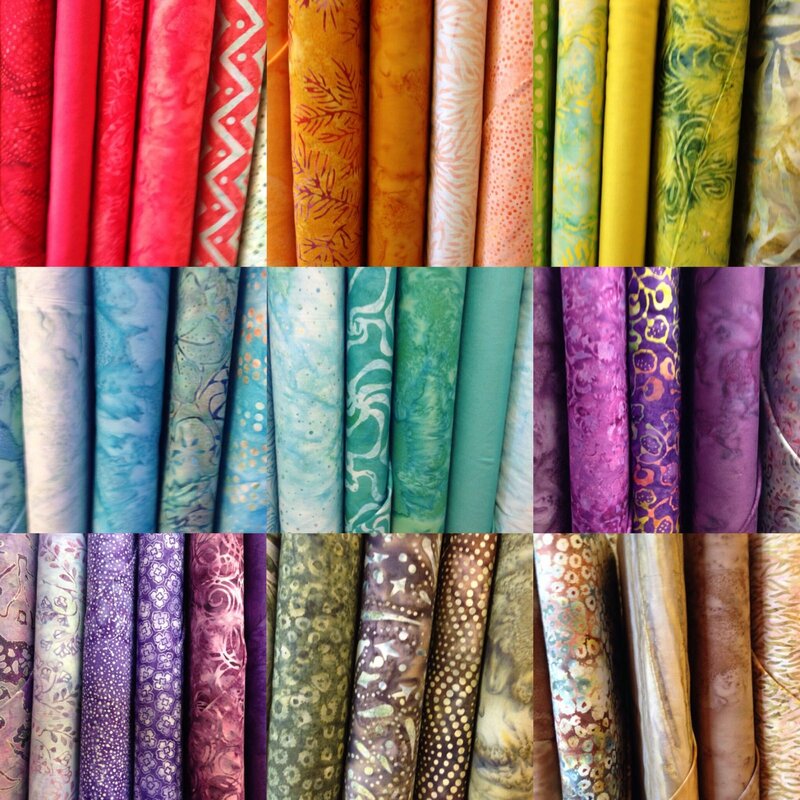 If you need assistance in selecting fabrics we are happy to assist. Bring your imagination. There are new patterns so check them out! This is all about fun and yes, YOU can do it!!! Please remember the SUPPLY LIST for you at the SHOP; it is your guide. 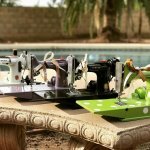 We are opening our classroom the first Friday of the month for your sewing pleasure! Bring your project, bring your machine, bring your lunch, and enjoy our bright and cheerful space from 10am to 4pm. All for only $10.00 We seat six comfortably unless you want to share a table with a friend. This is my all time favorite technique. These hexagon blocks go together like magic. No set in seams. All straight sewing. Each quilt will be unique. I love these fun quilts and hope you do too. Please stop by the Shop for your SUPPLY LIST! Thanks. 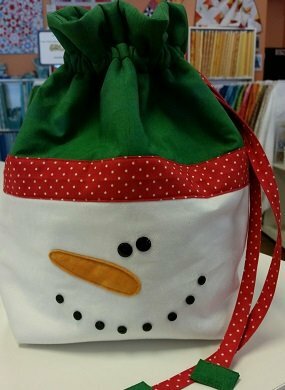 Bring your sewing machine and join ladies making pillowcases for Ryan's Case for Smiles. They make around 850 cases for Phoenix Children's Hospital and other organizations. FABRIC WILL BE PROVIDED. Call JoAnn Shaw to participate at 623-466-6223. Can't make it that day? Make pillowcases and drop them off at the store. What a great cause!!! They are always looking for volunteers to help. Here is a great class on how to clean and service your Featherweight Machine. This is a great opportunity to learn all about the of intricate inner workings and keep it running smoothly. Join Darlene Girton and the Featherweight Doctor for the day and have fun learning to baby this work horse of a machine. Do you need a little assistance or encouragement with your project? 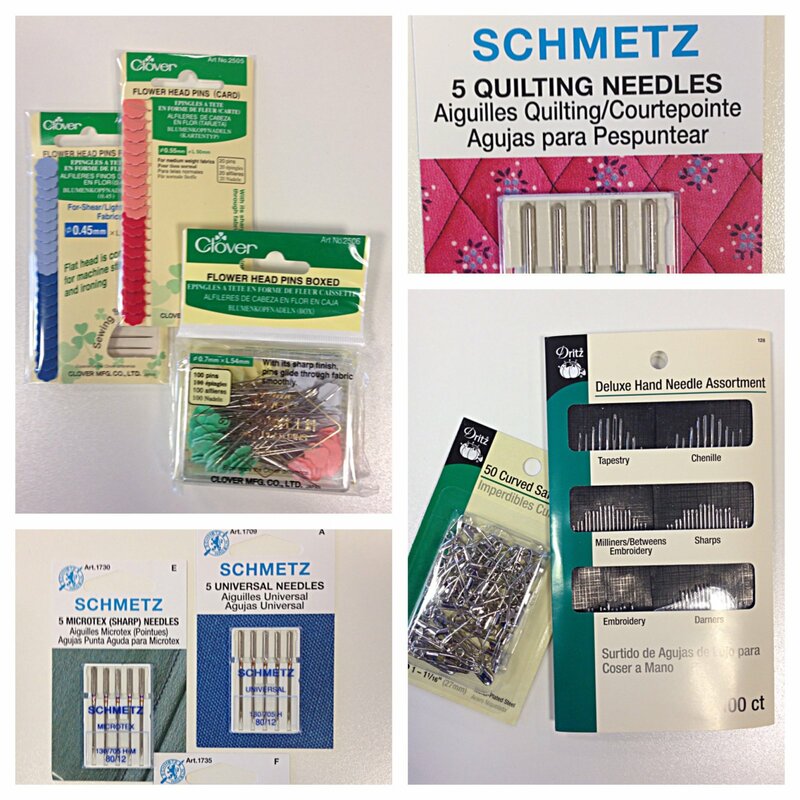 How about some time to sew with old friends or to meet new friends? Join Susan on the third Thursday of the month from 10:30 - 3:00pm. We can end earlier or a bit later depending on your needs. Together we will solve your quilting problems or issues, as we enjoy each others company in a relaxed, stress free environment. I'll also be bringing a project to join in on the sewing fun! This fun quilt with an optical illusion will have you experimenting with neutrals and a bit of color. 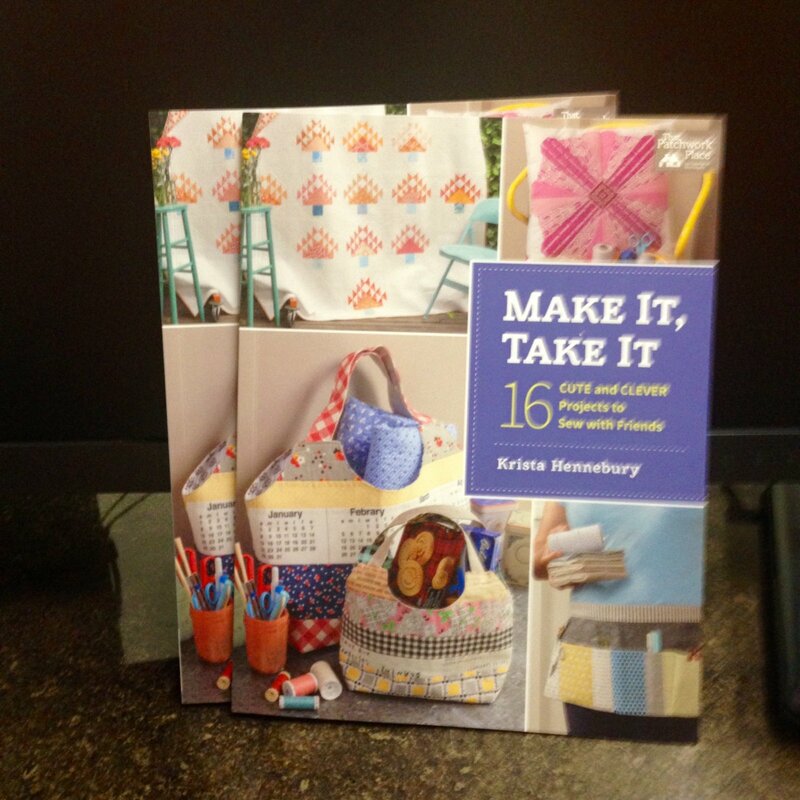 Enjoy the day and have excitement while you construct this interesting quilt with Gail. Be sure to get the head-start supply list.